To keep the client satisfied, we manufacture, trade and supply high quality Garment Wrapping Tissue Paper. Our offered tissue is manufactured using superior quality pulp and advanced technology, under the supervision of our experienced professionals. This tissue is highly appreciated by our clients due to its salient features. Our esteemed clients can avail the offered product from us in various sizes, colors and other related specifications. 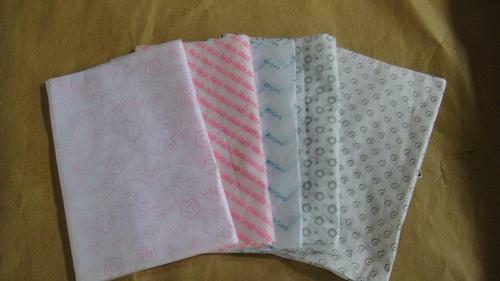 Provided tissue is mainly used for wrapping dresses in garment industries. Established in the year 1978, at Delhi(India), we, “S.P. Jain & Co.”, are recognized as the prominent manufacturer, supplier, trader and importer. We are engaged in manufacturing of Pearl Coated Metallic Sheet, Fluorescent Paper & Two & Three Color Wrapper Printing, trading of Tissue Paper, Electrical Grade Insulation Paper & also engaged in importing of Art Paper, Chromo Paper, Poly Coated Cup Stock, Facial Tissue Roll & SBS Board. These products are known for their recyclable, tear resistance, smooth texture, perfect finish and lightweight. The offered products are manufactured using high grade basic materials and the latest technology under the guidance of a skilled team of professionals. Our products are crafted in order to maintain their adherence to globally set standards. Our team of procuring agents procures basic material of optimum quality from certified vendors of the market. Apart from this, our clients can avail these products in various sizes, colors and designs as per their requirements.